children, Carina (second left) and Aida (right). 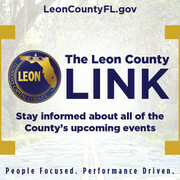 Common as it might seem, the morning rush to the bathroom used to be more than a simple routine for City Commissioner Curtis Richardson and his wife, Leon County judge Nina Ashenafi-Richardson..
For the couple and their two daughters, the precious early-morning moments became part of the foundation that the Richardson family is built on. While their gathering in the bathroom was much like most families experience, theirs had a little twist – so to speak – when it came to fixing the hair of daughters Aida and Carina for the day at school. Most days, it was dad who did the girls’ hairdo. Their mother, Nina, occasionally took on the chore especially if it were a special occasion. Of course, with Aida now 13 and Carina an 18-year-old in the Naval Academy, the days of having daddy give them hairdos are over. Not long ago, it was something they looked forward to, though. When it was just Richardson who had the time, the girls waited their turn. “I would just sit on the bed and watch Spongbob,” said Aida. The Richardson’s is a close-knit family that resides on Tallahassee’s Southside, an area where a majority of young people struggle to find their way. Their parents say their passion for steering the girls on the right path is a reflection of what they experienced as young people. Their commitment to their children, while carrying on demanding professional careers hasn’t gone unnoticed. They were selected as the Capital Outlook’s Family of the Year for 2018. The Richardson’s took every measure to insure that their children lead a wholesome life. They participated in extracurricular activities like playing soccer, doing gymnastics and martial arts. 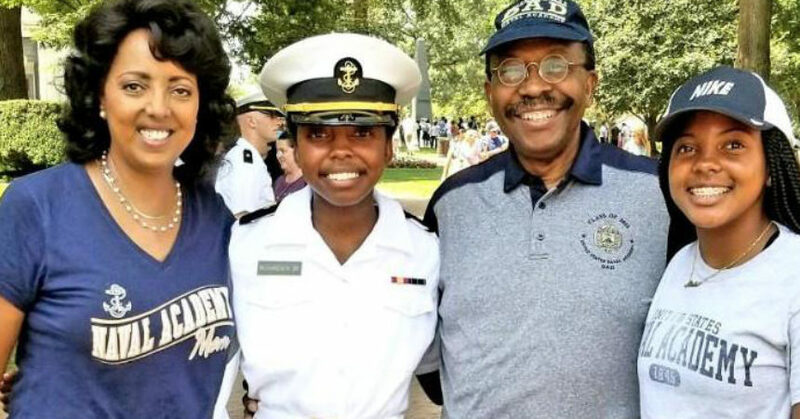 Both have excelled academically and while Aida is still in school, Carina is enlisted in the Naval Academy. She also previously was involved in Student Government activities at Rickards High School and served as the student representative on the Leon County School Board. Both girls said being the children of high-profile public figures comes with some measure of pressure that they’ve adjusted to. While, Carina is well on her way to defining a career, Aida said whatever she chooses she wants to be known for what she accomplishes. 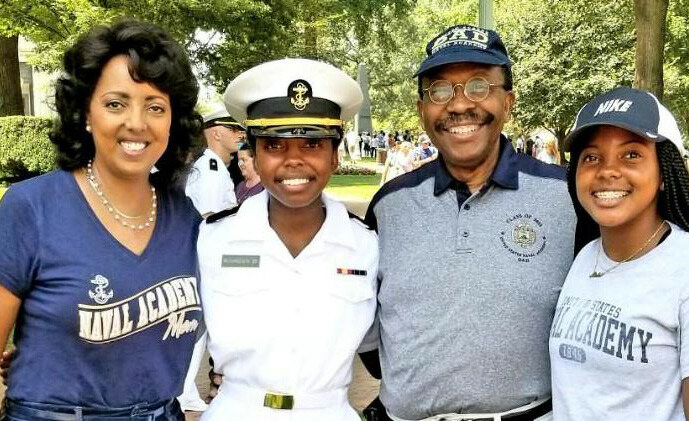 Carina didn’t hesitate on deciding that the Naval Academy is where she wanted to go. She especially likes the discipline, although she only gets 12 hours of free time each Saturday, she said. Raising their children took plenty of help from the neighborhood – the church and community advocated like the late Edwina Stephens, Ashenafi-Richardson said. Deciding to have a family took some coaxing of his wife after their marriage, Richardson said. In part, she said, having to grow up without her mother caused some of her hesitation. After moving to the U.S. from Ethiopia with her family at age 4 in the 1960’s, her mother became disenchanted with racial segregation and decided to return to Ethiopia. That left her to be raised by her father, who was a professor at FSU. Richardson, on the other hand, didn’t see much of his father because of military deployments while he was growing up in Green Cove Springs, a small town not far from Jacksonville. That experience, he said, made him a hands-on father for his daughters. What the family is experiencing is the result of a lunch outing that turned out far from Ashenafi-Richardson’s expectation. As she told the story; she invited Richardson to have lunch to reciprocate for assistance had given her when she was a young attorney working for the Florida Education Association. Richardson worked for the Leon County School Board at the time. During the lunch, Ashenafi-Richardson. recalled not being able to retain the attention of the man who would eventually become her husband. When he wasn’t being pulled into conversation by other people in the restaurant, he fidgeted with his watch, she recalled. She eventually swore off another lunch get-together, telling Richardson that studying for the bar exam demanded her time. Richardson didn’t give up, though, eventually convincing her to go out one more time. They developed affection for each other over a period of four years before they got married 22 years ago. Richardson, who in addition to serving on the school board and in the legislator, credits his wife for his success. “I would not be where I am but for my wife,” he said. “When she met me, I was on the school board; I was involved in politics and running for office. Twenty-something years later, I’m still doing the same thing. Ashenafi-Richardson said she wouldn’t have it any other way because of Richardson’s consistency as a father and husband. His intellect and willingness to serve also are admirable qualities to Ashenafi-Richardson.